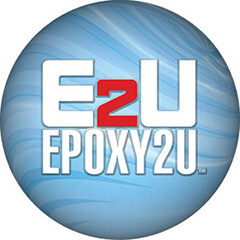 Epoxy 2 U is an Orange County based company that specializes in manufacturing decorative floor coatings and concrete repair systems for residential, commercial, and industrial applications. Epoxy 2 U floor coatings provide chemical resiliency and are recognized for their durability, adhesion, and self-leveling qualities. These attributes have made Epoxy 2 U a preferred brand amongst professional sports stadiums, national retailers, large manufacturing plants, and military complexes. Fullerton Paint & Flooring distributes Epoxy 2 U products throughout Anaheim, Fullerton, Yorba Linda, Brea, Orange, and surrounding areas with access to the full selection of Epoxy 2 U coatings, which includes 100% solid Epoxy Systems, Metallic Epoxy Systems, Flake Systems, Waterbase Epoxy Systems, and Polyaspartic Systems. Each application offers an extensive choice of colors, patterns, and visual schemes from bold, glossy patterns to soothing muted tones. Metallic epoxy accents or mirror-like coatings are also an option for commercial or home settings. 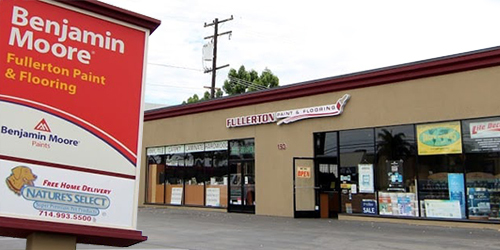 Come visit us at Fullerton Paint & Flooring to view our full gallery of Epoxy 2 U floor coating options. Our staff is very knowledgeable about metallic epoxy, 100% solid epoxy, polyaspartic coating application, as well as concrete preparation, a necessary and vital part of floor coating application.